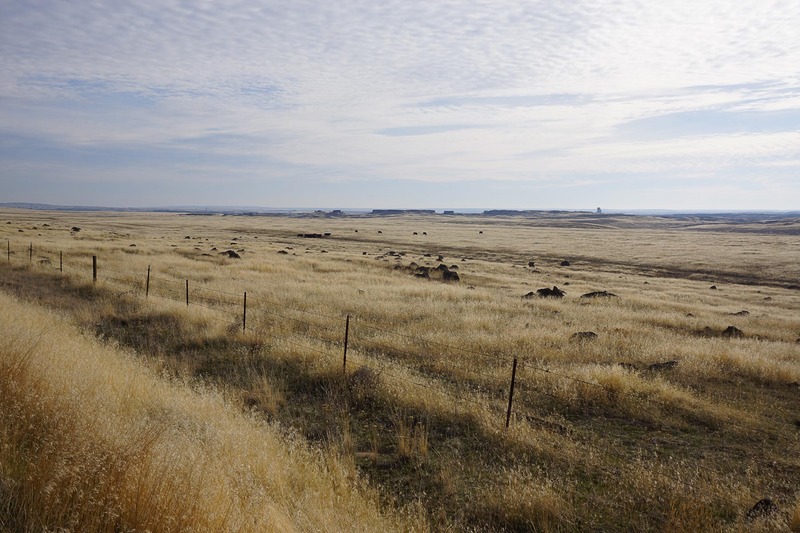 A few days ago, in November light–high clouds with sunlight filtering through–I took a drive out into the scablands east and south of Spokane, looking for a view I’d remembered–grass and volcanic rocks, cows, and space. I found that spot, and stopped to make some photographs. Across the road from the cows in space was a rail line. A train came along, two diesel engines in front, traveling slowly, eventually coming to a full stop right in front of me. 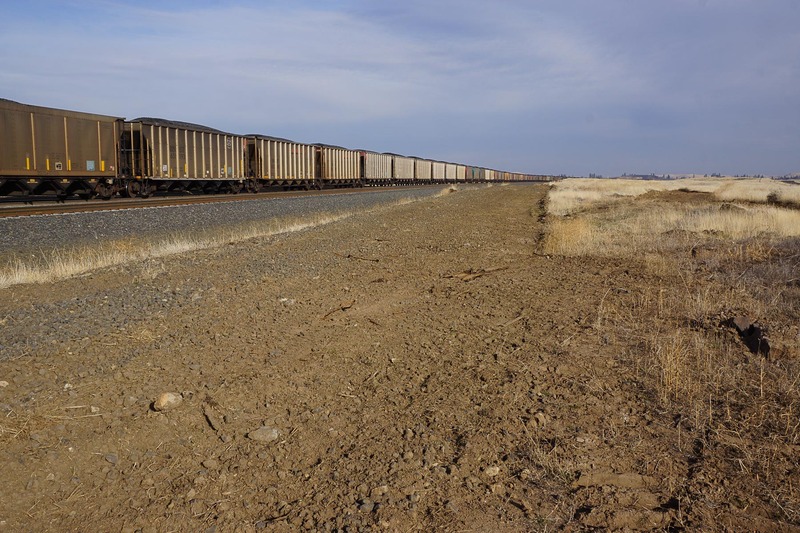 The train was long–in my view, from horizon to horizon, filled with coal, headed for China. One hundred tons per car, one hundred cars, so 10,000 tons of coal. But, of course, there is no stopping the coal being burned in China, at least not for long, and not soon. Also this week, I read an article about Google’s attempt to provide a solution to global warming, a program intended to find a way to make renewable energy cheaper than electricity from coal. When first proposed, Google stated that it intended to invest $2 Billion in the effort, which is a significant investment, but it was not clear exactly what technology Google intended to invest in. In 2011, Google realized that the program was “off track”, meaning that they had not identified a path to meet their goals, and canceled the program. Even more sobering, even if the program had met it’s goals, models show that the reductions in carbon emissions were not sufficient to reverse the effects of climate change. No one knows how to stop this train. This type of landscape is something that has things going through it or over it. Planes, trains, interstate highways. Or simple utility: large ranches, monoculture in the Midwest. How to interpret this photographically? Have you seen Michael Forsberg’s _Great Plains_? If you have a chance to look at it, I would be interested in your thoughts.